Like last year, we invite you to visit us on our operations from 10 to 18. 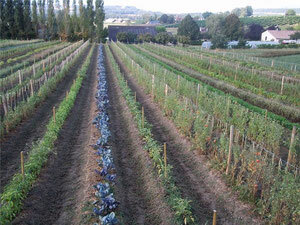 We are now working 3 ha of vegetables. 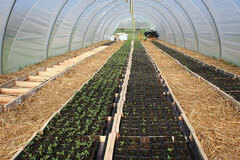 We have implemented a greenhouse in order to have some early vegetables very appreciated by our customers! We always carry all our plants we leave some time in a "small" greenhouse so they are not strong before planting in the field. 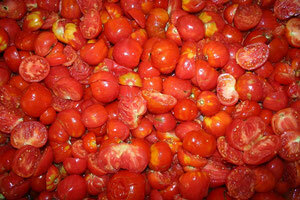 And finally of course the tomatoes that grow to eye! 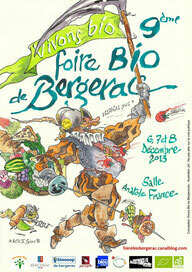 This time we're less far .... We hope you will be appointment for this 9th edition of bio Bergerac fair! It is said that the "Nordistes" are welcoming and friendly people ... well it is true, we had a great weekend in Lille, the "Nordistes" are curious, pleasant and warm. Thank you all for your support and see you next year! After avois through the rain and the mistral in Marseille last weekend, we rendezvous with the northern sun the last weekend of November. 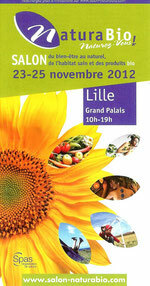 And we will be happy to meet the "ch'timis "at the exhibition "Nature et Bio" which it will held on 23, 24 and 25 November 2012 at the Grand Palais in Lille. 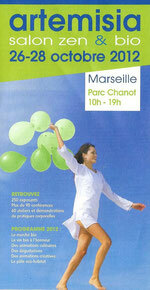 Our booth number : "Etale de la bio n° 7"
We will be present to the exhibition "Artemisia" which it will held at Parc Chanot in Marseille. 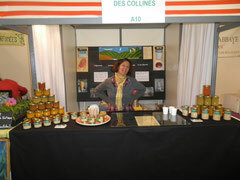 We were very happy to meet you at the exhibition in Nantes. 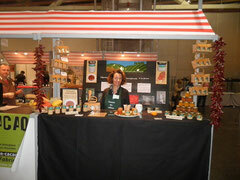 Despite of the rain and wind many of you to come and taste our products. 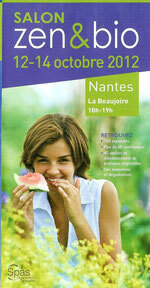 First step and the first exhibition in Nantes on 12, 13 and 14 October 2012 in the exhibition hall of La Beaujoire Nantes. We will be happy to let you taste our products. 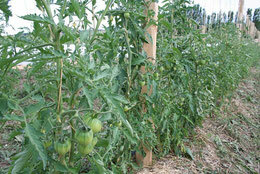 September 2, 2012 : autumn vegetables coming among the tomatoes ! August 10, 2012 : worshop run "full blast"
Preparation and cooking of tomatoes and others vegetables has not secrets for us ! The Saint Pierre in perfect shape ! 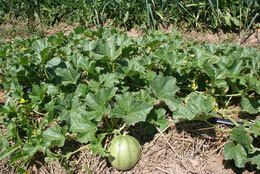 June 20, 2012 : tomatoes and melons are present at the call but the sun capricious delays ripening! June 1st, 2012 : first crops ! Here it is the first crop of peas and held the first jars of "Velouté de petits pois " are made ​​in our brand new lab ! May 15, 2012 : After work in the field just transplanting in the greenhouse ! 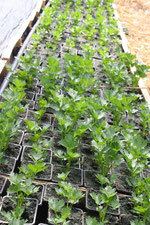 Celery are planted in pots and will soon find "buddies" in the field ! These funny stiks are leeks ! Pumpkins are just waited to grow ! May 13, 2012 : What do they spend next to peas? 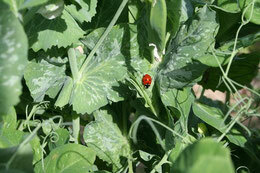 under the vigilant eye of our friends the ladybugs ! 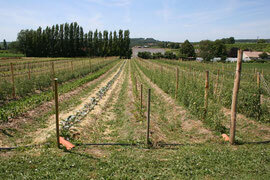 May 10, 2012 : Planting eggplant, peppers and melons in the field ... it smells like summer! May 5, 2012 : Finally the sun is back ! After a month of cool, rainy April, the vegetables are happy to finally get warm under the sun of May ! April 6, 2012: Plantation final. Some precautions are required: the "feet" toasty warm in the straw and the "head" protected by the mini greenhouse in winter sailing. April 2, 2012: preparation of mounds. 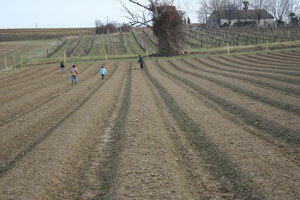 We take advantage of the warm temperatures to mulch the mounds and place the drips. 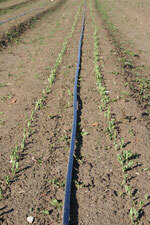 March 30, Vegetables grow before your eyes! 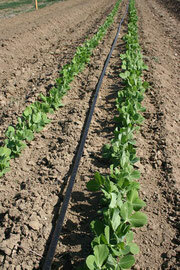 With summer temperatures of the end of March vegetables explode with vitality ! 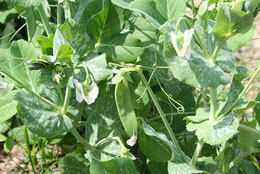 peas in the field ! 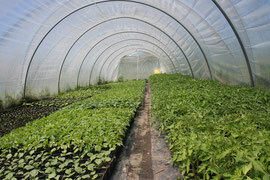 March 27, 2012 : Warm in the greenhouse ! 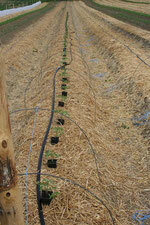 Here it is all the tomatoes, eggplants and peppers are planted. The courgettes are sown directly into small pots. March 19, 2012 : peas and onions poke their nose tip! March 16, 2012 : Inauguration of our greenhouse ! 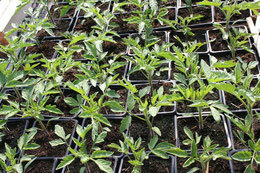 The tomato seedlings St Pierre and Marmande are planted in small pots and placed in our greenhouse brand new ! 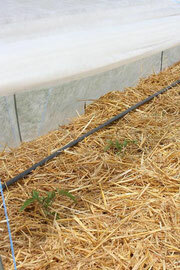 March 8, 2012 : The tomato seedlings grow visibly ! The St Peter and Marmande are leading the pack of "push" but they are closely followed by Beef Heart, Evergreen, Bourgouin Orange, Yellow Brandywine, Red Russian, Liguria, Caro Red, Golden Jubilee of course the cherry tomatoes! February 27, 2012: That's it go! 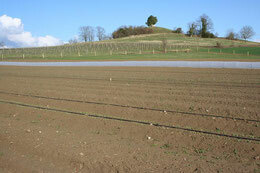 We enjoy the sweetness of the end of February to make our first field seedling onions, peas and carrots.